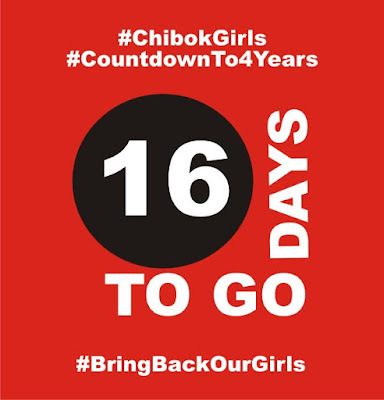 In 16 Days, 112 of our #ChibokGirls would have been in Boko Haram captivity for 4 years. Leah Sharibu, one of the #DapchiGirls and many other Nigerians are also in Boko Haram hands. Please redouble your efforts to ask for their rescue and reunification with their families. We initially witnessed an unprecedented outpouring of support from all over the world by ordinary people, students, politicians, community leaders and entertainers urging the world to '#bringbackourgirls'. This global activism fortified those within the country and kept the pressure on the Nigerian government to take credible action. However, it has now been almost 4 years and many have forgotten about the plight of the Chibok Girls, 112 of whom remain in captivity. 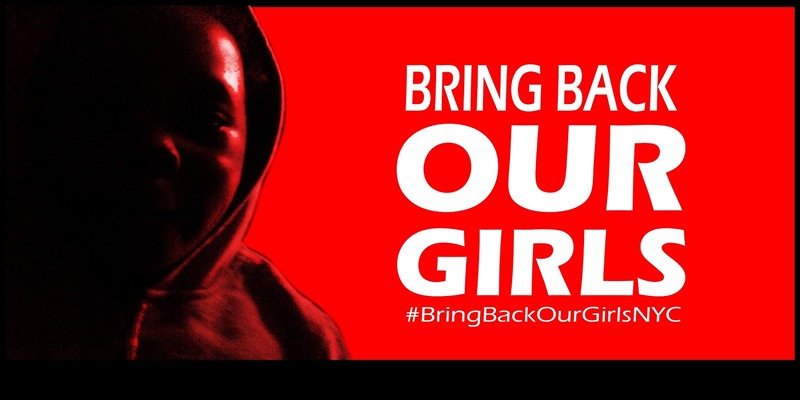 More is needed today to remind the world that the #ChibokGirls are #NeverToBeForgotten! Here’s what you can do! 1) Additional pressure must be brought to bear on the Nigerian government to make the issue of the return of the Chibok Girls and other abducted persons a priority; commit to greater transparency; and provide daily briefings where information can be shared with families of abductees and the general public. As such, diplomatic missions and embassies around the world should be targeted for lobby visits, phone calls, and public demonstrations. Please write to the U.S. Ambassador to Nigeria, W. Stuart Symington, Plot 1075 Diplomatic Drive, Central District Area, Abuja, Nigeria (InformationOffice@state.gov) Telephone: (234)-9-461-4000; Fax: (234)-9-461-4036and ask him to demand that the Nigerian government move with urgency and make the return of the Chibok Girls and other abducted persons in Nigeria a priority. 2) International organizations like Amnesty International, Human Rights Watch, as well as intergovernmental agencies like UN Women, 405 East 42nd Street, New York, NY 10017 Tel: +1 646 781-4400 Fax: +1 646 781-4444, UN Office for the Representative for Children in Armed Conflict, Virginia Gamba – Under-Secretary-General 405 East 42nd St New York, NY 10017 Fax: 212-963-0807; Fabienne Vinet Tel: 212-963-5986, email: vinet@un.org. UN Office for the Prevention of Sexual Violence in Armed Conflict led by Under-Secretary-General Pramila Patten (andersonl@un.org); 212-963-0910, must continue to demand respect for the rule of law and the rights of women. Please write to them and ask that they join the rallying cry for the return of the Chibok Girls and other abducted persons in Nigeria. 3) We applaud but urge additional efforts by the international community to host comprehensive dialogues on addressing extremism. This global issue needs global responses that do not solely rely on militarized responses. Please continue to rally, protest, march and create dialogue on this issue until the Chibok Girls are returned. 4) As a diaspora, we appreciate the outpouring of help and support. However, we want Nigeria to remain independent, autonomous, and sovereign. We nonetheless encourage U.S. citizens to call their representatives to express appreciation for efforts already taken, while simultaneously urging greater action in partnership with the efforts of the Nigerian government which we believe should remain in the foreground in restoring these girls to normalcy and guaranteeing the security and well-being of all its people. 5) Take a personal pledge to amplify the silenced voices of the Chibok Girls and/or become a #ChibokGirlsAmbassador until all the girls are returned home.